We started the world’s first fellowship in interventional orthopedics and regenerative medicine. Our program has been expanding year over year, and in 2018 it will feature three slots. The diploma above represents the work they do and, more importantly, how these young physicians have been trained to add to and grow this field. Suffice it to say that I felt a little like a proud papa when I first saw our updated version. We began our fellowship five years ago. At the time, its goal was to educate select young doctors on how to use stem cells and PRP to treat musculoskeletal injuries using imaging-guided procedures. 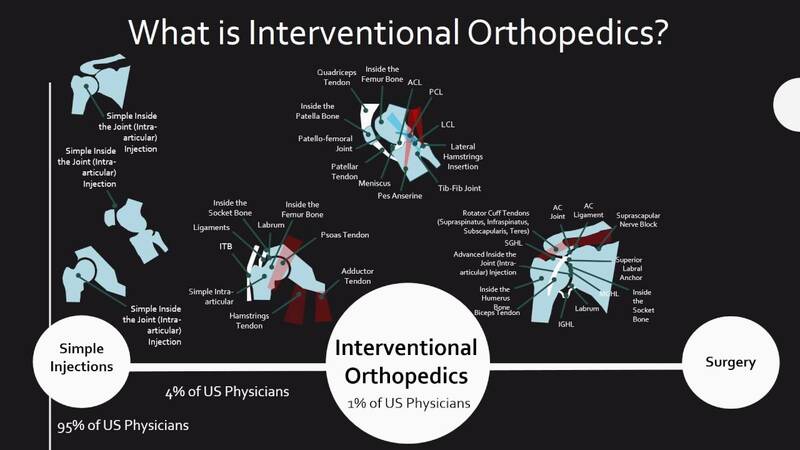 Over the years, the curriculum expanded and formalized through the Interventional Orthopedics Foundation. Given the interest that many physicians have in this space, the program also became quite competitive. Due to its fast teaching pace, our fellows have to be handpicked to ensure that they can learn the maximum amount possible in 12 months. This means that we turn down many applicants who don’t have the base background to succeed in interventional orthopedics. Right now, the program turns away many more physicians than we accept, mostly because it’s the only one of its kind in the world. One of the more unique things about our fellowship is that half of the first six months and one-fourth of the second six months is spent on regenerative medicine research. Our fellows are expected to help get 3–5 publications a year out the door. This can sometimes be a tall order, and all of these physicians also come in with varying degrees of research experience. Hence, for some, it’s just continuing what they did in residency, and for others, it’s introducing them to a whole world of new concepts. When we first began our fellowship, I had my office manager make up a diploma for the first graduates. Through the years, as some of those physicians decided to stay on with our expanding practice, I noticed that their interventional orthopedics fellowship diplomas didn’t have the same swagger as the ones they had from the famous universities they had attended. Hence, our diplomas needed a rework. In the seal, you see the Latin, “forte adiuvat animus paratus.“ While Latin is commonly scattered around diplomas and university seals, I wanted our bit of Latin to be whimsical and be serious all at the same time. So what does ours say? “Chance favors the prepared mind,” which is also the statement found on the outside of our on-site research lab. Meaning we would all love to believe that great medical discoveries are found through decades of methodical and disciplined research. In fact, many of the greatest discoveries were accidents that were noticed by the right person who knew enough to figure out that what was being observed was important. In the shield, you’ll find an injection syringe, for obvious reasons. You’ll also find our clinic’s logo. There’s also a Vitruvian Man, of Leonardo fame, to indicate the genius we expect out of our fellows. Finally, the gears indicate that we want to turn our young men and women into physicians who understand how to think for themselves rather than following the medical herd. This diploma happens to be for Chris Williams, who finished our program with flying colors last year. Chris was such a pleasure to teach, and I know he will be a leader in this field for many years to come. We’re regrettably losing him to Atlanta soon, but the Southeast will pick up a true superstar in interventional orthopedics. The upshot? I’m very proud of this diploma because it represents what we have created over the last five years. The world’s first program to educate young physicians to be leaders in the new field of interventional orthopedics. These young physicians will then train legions of other physicians on how to help patients avoid invasive surgery through precise imaging-guided injections. What are your plans to teach like UCSF medical and the great STANFORD MEDICAL Centers? They are the leaders in medical students of the furture and the Palo Alto medical centers of California. None are doing or very little in stem cell studies.WHY?????? I/We have submitted applications for stem cell for my wife who had a stroke and have followed your emails every time hopeful some thing can help her talk and walk . We are welcoming a Stanford resident this summer into the 2018-2019 fellowship. I am Dr luque from spain, and i am very interested in your diploma, could you advise if i can do it online? Of course i will come for practise. What is the base background required? What would be suggested for a medical student to consider as a residency if there is an interest in this fellowship? PMR at certain universities. The best we have seen so far is the Emory PMR program.